Smart Security Systems by Orbit Security. In the world of smart devices, the questions we get day in day out are, can I control it with my phone?, can I view my cameras on my phone? The answer is yes. We've got an app for all our systems. 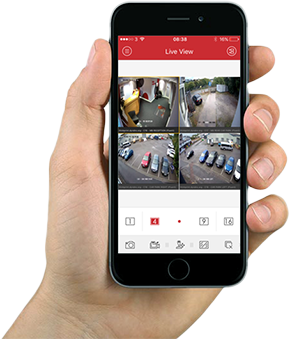 CCTV Systems - Allowing live view and remote playback. Intruder Alarm Systems. Set/Unset your alarm and check the current state of the alarm. Intercoms. Talk to a visitor at your home while your out and remote operate a door or gates.